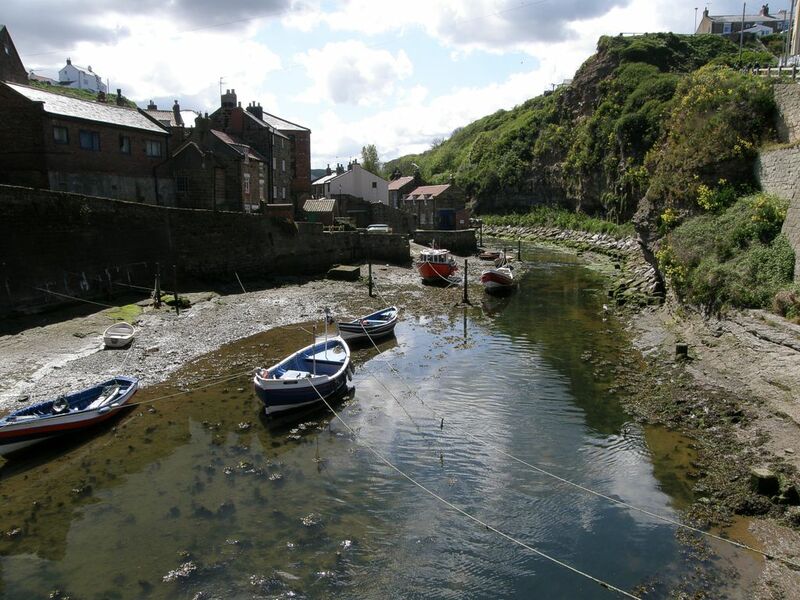 Panoramic view of the North Yorkshire village of Staithes. 3rd May 2009, 12.31pm. Click the panorama to see a much bigger 4631×550 pixel version. Stitched from 8x 3264×2448 pixel, 72dpi images. The full size image created is 19317×2748 pixels. A view of Staithes taken from the beach. Click the image to see a much bigger 1095×550 pixel version. Stitched from 2x 3264×2448 pixel, 72dpi images. The full size image created is 4764×2392 pixels. The left hand image was slightly blurred so this is not great. I will go back one day and re-take it. 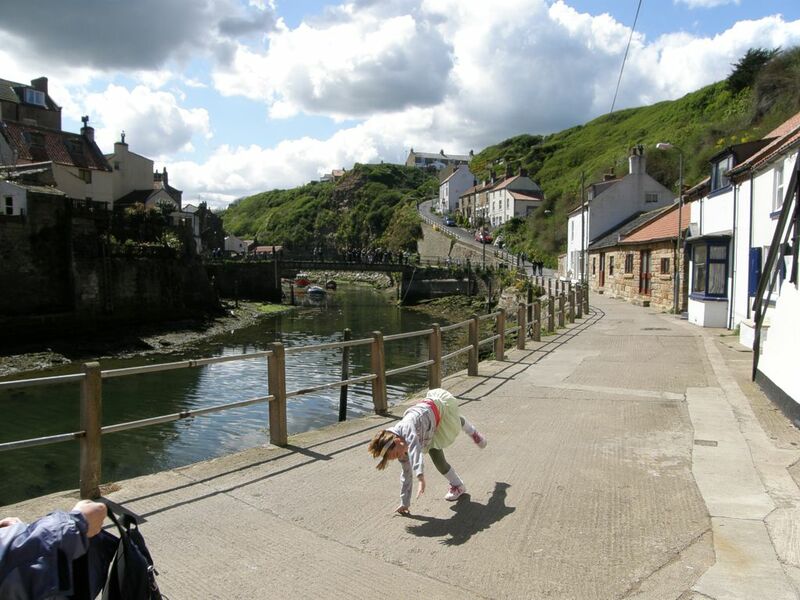 Staithes is a seaside village a few miles north of Whitby on the coastline of the North York Moors National Park. 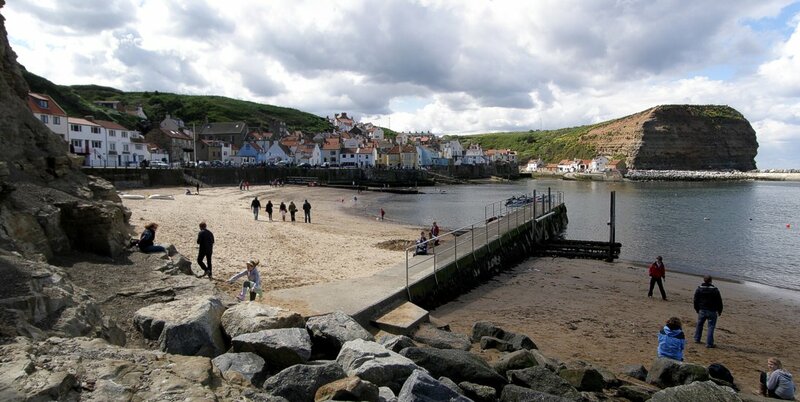 Once a busy fishing village and home to Captain Cook, Staithes is now a popular tourist destination.